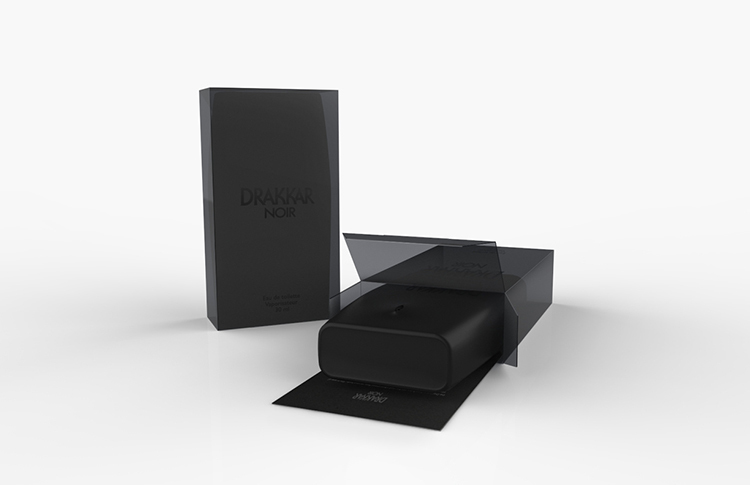 the original package for drakkar noir fragrances by guy laroche. 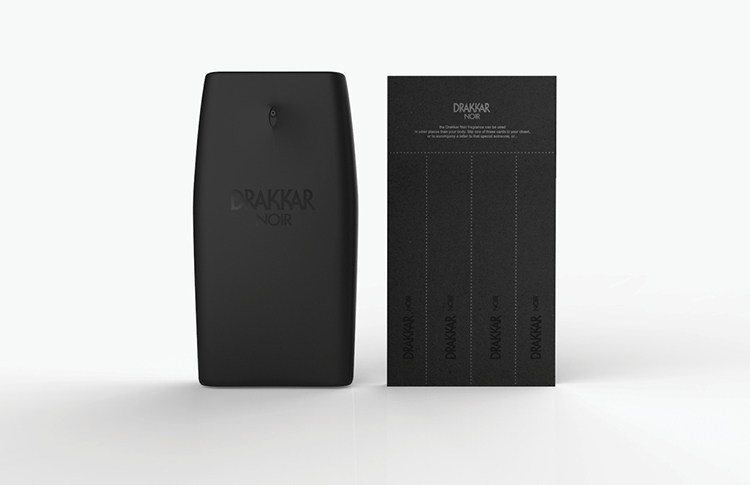 ceft and company’s updated design for drakkar noir via l’oreal’s luxury division. the cap from the original bottle was replaced with an integrated atomizer creating a streamline uni-body form. 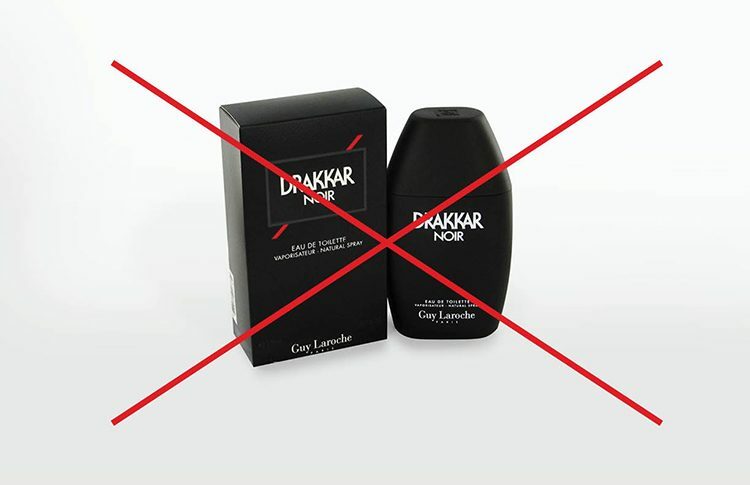 however the original and iconic drakkar noir bottle remained an asset, and in the process of redesigning this, it was imperative that the connection to its history would be preserved. the sensual redesigned nozzle and actuator. tinted transparent carton with black on black printing. the packaging also includes an innovative new felt touch card that features perforated cards that can be used as scent cards. 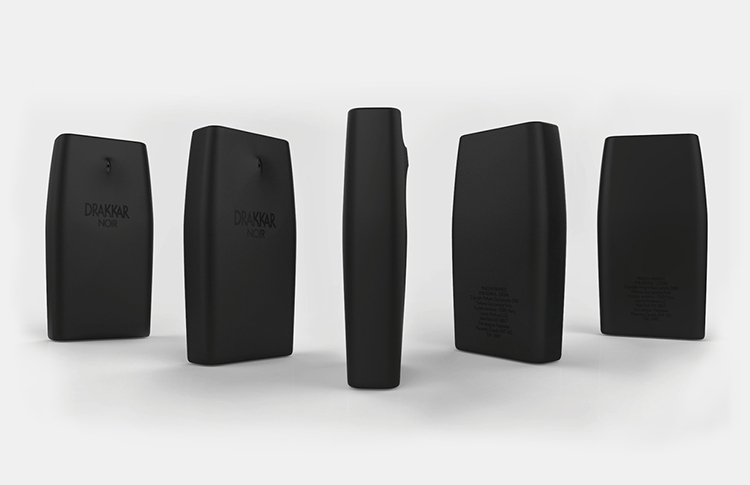 ceft and company new york was commissioned by l’oreal luxury division, to re-imagine the drakkar noir packaging design as well as its relaunch, adapted to a more premium market. 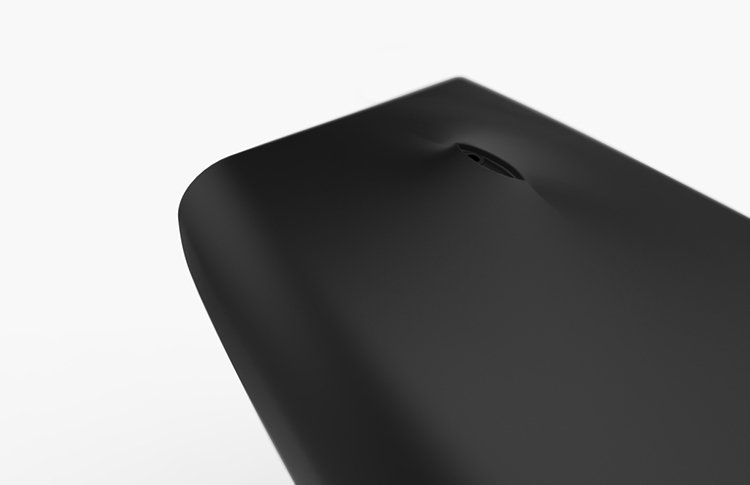 the proposed design included a reshaped bottle with an inline integrated atomizer, resulting in a sleek matte black monolith. the creation displays a more sensual and streamlined silhouette that emphasizes the texture and its uni-body form. 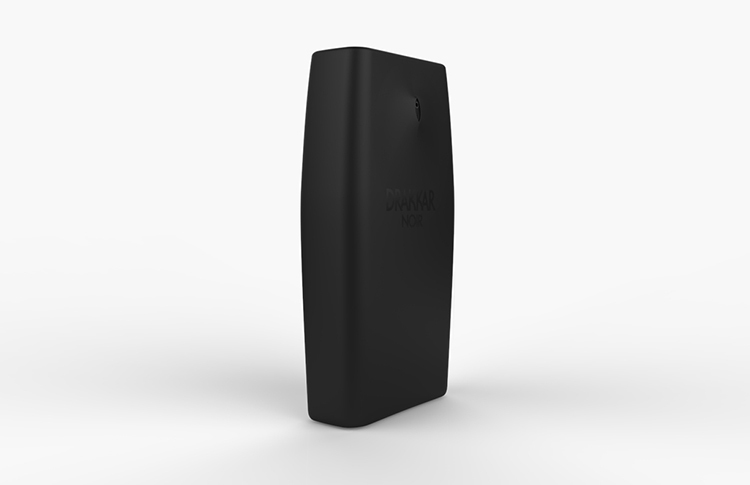 the translucent black PVC outer carton reveals the iconic bottle curvature on the inside, while an innovative new felt touch perforated sheet doubles as a scent card which the user can separate and share the scent with a friend or girlfriend, or store it in a cabinet or closet to infuse the space with the iconic drakkar noir scent. view all work related to this project.